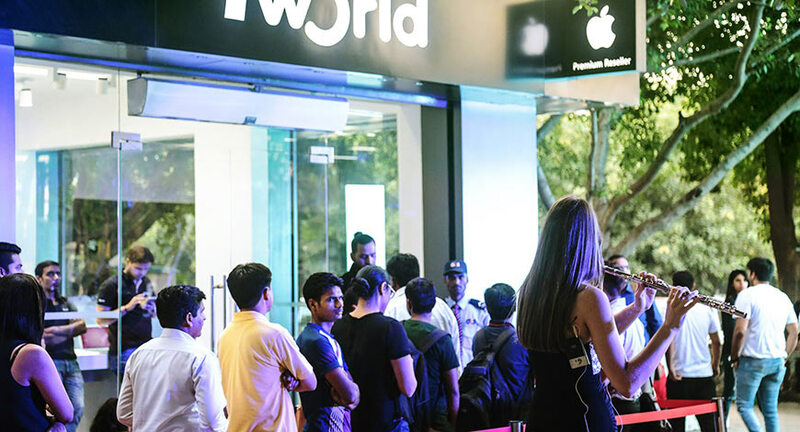 30 locations in three top cities Delhi, Mumbai & Bangalore, went live to launch the iPhone7 and 7 Plus on 7th October at 7 pm and the excitement and build up was palpable. 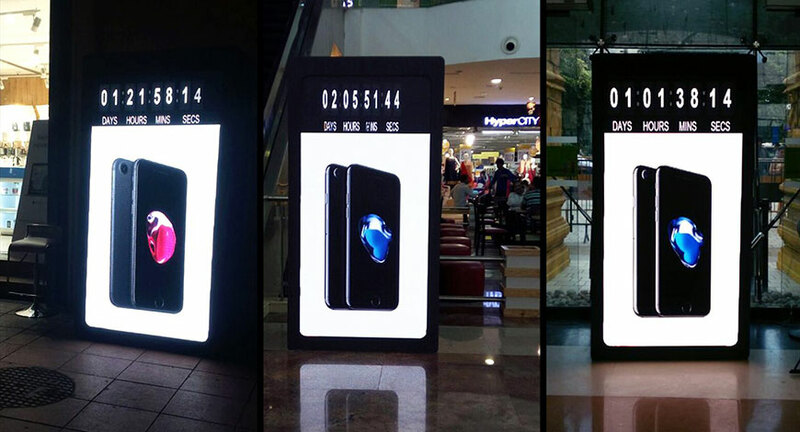 The unveiling of the latest offering by Apple was managed by Marketing Solutions. Giant beautifully mounted and branded LED walls, double sided, single sided; vertical LED’s, floor LED’s came up in all 30 locations 4 days prior to the launch. The dynamic content and software developed in house had a countdown ticker and the iPhone7 and 7 Plus films playing. Connected through a single server, the walls showed the same time every where, and the messages changed uniformly as required, and led people to the nearest stores. On the day of the launch, the thirty stores shut down two hours prior to the launch. Red carpets were laid out to encourage pre-bookers of the phone to queue up, anchors were engaged in all locations to keep the crowds pepped up, the LED’s were upping the adrenalin levels as the countdown to the launch came closer. International artists – instrumentalists and crooners, and in some places the Mash Machines entertained the growing queues, branded snack packs were passed around to keep the energy levels high. Till finally at 7 pm, when the excitement was at it’s peak, the unbelievably large crowds now happy restless to hold their new iPhones, and at the designated hour of 7, all the LED’s flashed the message of "iPhone7, It’s here!" And the doors opened.